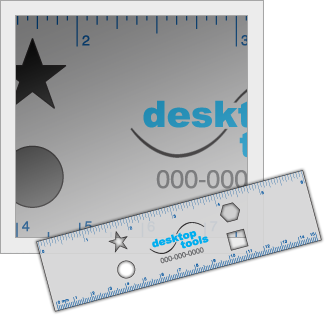 This type of ruler can have cutouts and scales and is used as a leave behind or handout. The ruler shown is 6 inches long, with a scale along each edge and 4 cutouts. Cutout shapes and scales can be altered. With your logo, it makes a great giveaway. 6.25" x 2" x .030"